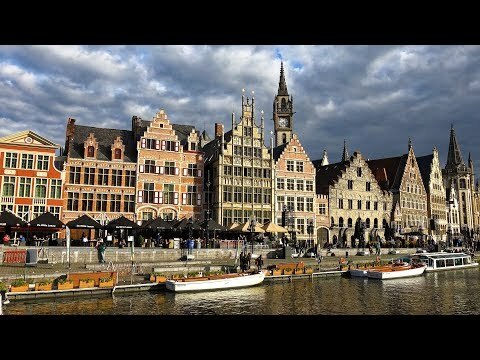 Ghent was one of the richest cities in Europe in the Middle Ages. The medieval historic center is well preserved and restored. The belfry, Saint Bavo Cathedral and Saint Nicholas church paint the beautiful skyline of the city. Recorded September 2018 in 4K Ultra HD with Sony AX100.